Facebook CEO Mark Zuckerberg testifies before the House Energy and Commerce Committee on Capitol Hill. Photo: Chip Somodevilla/Getty Images. House Democrats plan to use this week's Facebook hearings as the starting point for an aggressive push for privacy legislation, which sets them up to move a bill forward if the House flips in November. Why you'll hear about this again: Mark Zuckerberg emerged from 10 hours of testimony without any indication that bipartisan action is imminent. But House Democrats are preparing to introduce proposals for privacy legislation that will put in place concrete protections for how personal data is used and shared, although specifics are still being worked out, according to a Democratic House aide. What to expect: Democrats on the Energy & Commerce Committee, which has jurisdiction over tech issues, will introduce proposals in the near term. That gives Democrats the opportunity to point to their efforts even if Republicans fail to make good on their regulatory threats. What they said: Here's a sampling of what House Democrats said at Wednesday's hearing. Rep. Frank Pallone (D-NJ), Ranking member of the House Energy & Committee: "So I was happy to hear that Mr. Zuckerberg conceded that his industry needs to be regulated, and I agree. We need comprehensive privacy and data security legislation." 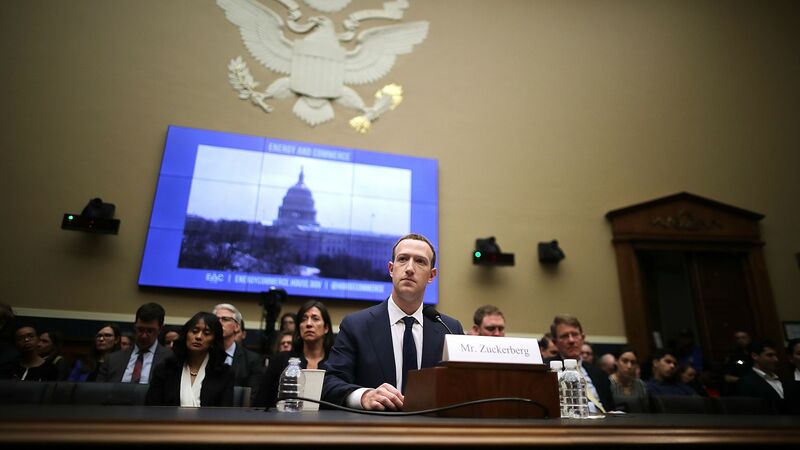 Rep. Jan Schakowsky (D-Ill.): Regarding Facebook's history of privacy apologies, "this is proof to me that self-regulation simply does not work. I have a bill — the Secure and Protect Americans' Data Act — that I hope you will take a look at." Rep. Mike Doyle (D-Penn. ): "[T]he only way we're going to close this trust gap is through legislation that creates and empowers a sufficiently resourced expert oversight agency with rule-making authority to protect digital privacy and ensure that companies protect our users' data." The Browser Act, a bill from Rep. Marsha Blackburn (R-Tenn.), is still on the table. It would apply opt-in requirements to internet service providers and online services like Facebook. When Blackburn asked Zuckerberg if he would support it, he told her he was "not directly familiar with the details of what you just said." Meanwhile, two senators (Democrat Amy Klobuchar and Republican John Kennedy) announced Thursday that they'll introduce legislation that would give consumers more control over their data and let them opt out of tracking and data collection.